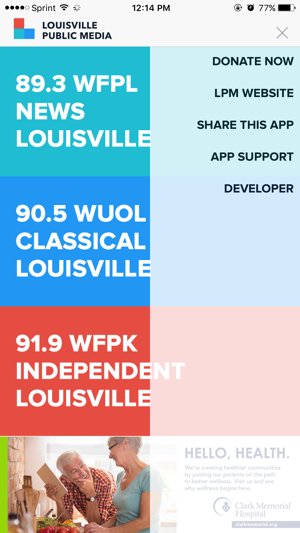 Now you can stream any of Louisville Public Media’s radio stations through your smartphone! 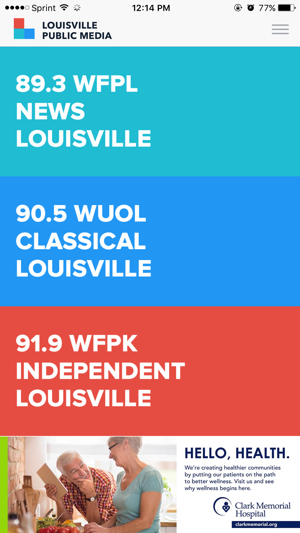 Louisville Public Media makes Louisville a better place to live by educating, connecting, engaging, entertaining and informing the community. We look forward to the gift of your support, energy, ideas and participation in strengthening this important public service. 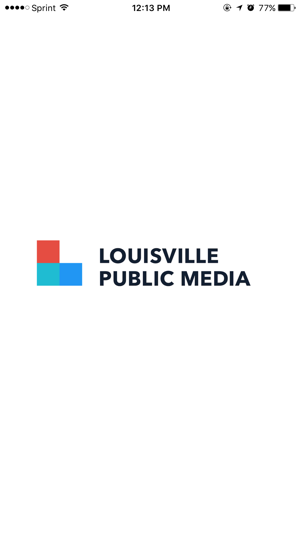 You are essential to Louisville Public Media’s ability to realize its vision and ambition to fully serve and strengthen our community. 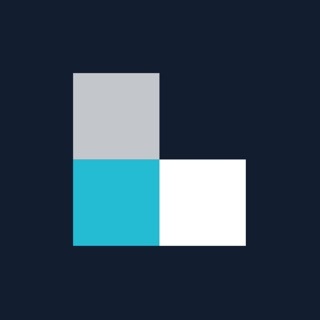 Enjoy streaming all of LPM's public radio stations on the app, and thank you for your continued support of public media! 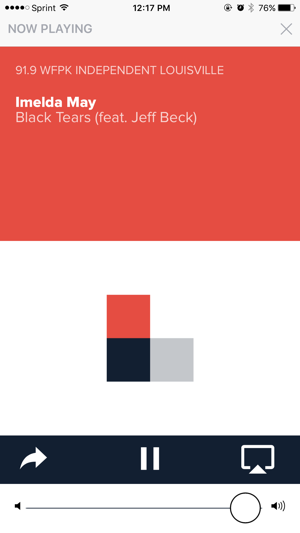 Really love my Louisville Public Media, but this app times out after a few minutes of playing in the background and locks up the phone for 10-15 seconds. I have to close the app completely and reopen. Have to do this over and over to listen to a program units entirety. 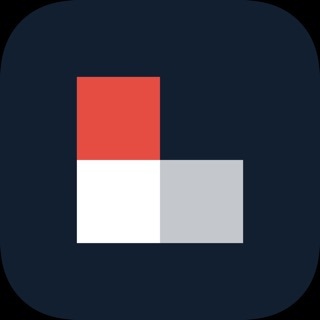 I love LPM and I listen frequently on my IOS device so that I can carry it around the house with me. However, it's definitely not useful when it stops playing whenever the device screen locks. It also takes forever to restart when it does shut down. Too buggy to use. In what universe is it useful to have an audio streaming app that stops playing as soon as you switch apps (even with this one running in the background) or as soon as your phone autolocks? 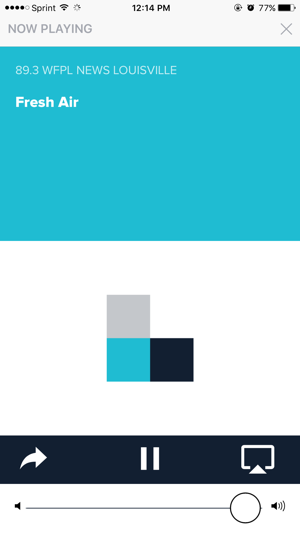 I LOVE LPM and am a member but am deeply disappointed with the utter lack of functionality present in this app.